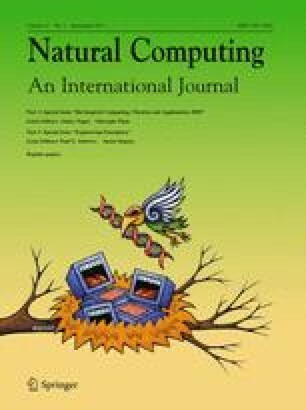 This special issue of Natural Computing is devoted to selected contributions from BIC-TA 2010, the annual International Conference on Bio-Inspired Computing: Theories and Applications, held in Liverpool, UK. As the name indicates, this conference is interdisciplinary in character and brings together scientists from a wide range of fields for presenting the results of their research and for brainstorming on advances in computing science (computability in general) taking the nature around us (biology especially) for inspiration and applications. Bio-Inspired Computing: Theories and Applications (BIC-TA) has established itself as one of the successful conferences in Natural Computing, especially from those research areas having the starting point in biology. Initiated in 2006, the conference has taken place at Wuhan, China (2006), Zhengzhou, China (2007), Adelaide, Australia (2008), and Beijing, China (2009). The fifth in the series of the BIC-TA conferences was held at Liverpool, UK, from 8 to 10 of September 2010, organized by the Department of Mathematics and Computer Science at Liverpool Hope University. With the growing trend in Emergent Complex Systems theme, BIC-TA 2010 saw, for the first time in the series, the inclusion of two closely related fields, namely Complex Systems, and Computational Neuroscience. Related with these fields, inspiring keynote speeches were delivered by Prof. Steve Furber (The University of Manchester, UK) and Prof. D.G. Thomas (Madras Christian College, Chennai, India). BIC-TA 2011 was hosted at the Universiti Sains Malaysia, Penang (Malaysia) and future 2012 and 2013 editions are planned to be held at Gwalior (India) and Anhui (China), respectively. From a wide spectrum of interesting research papers on various aspects of Bio-Inspired Computing, with a diverse range of simulation applications, theories, and techniques within the domain, 10 papers were selected (out of over 80 papers which were presented at the conference), with the aim of having a balanced representation of bio-inspired computing, both in what concerns the research directions and the theory-application relationship. Substantially rewritten versions of these papers were submitted, and, after a usual reviewing procedure, 7 of them were included in the present volume. Genetic Algorithm is a robust search technique requiring little information to search effectively in a large or poorly-understood search space. Martyn Amos and Jack Coldridge, in their paper, compare the performance of a genetic algorithm with that of the A* algorithm in the context of an application to the Zen Puzzle Garden Game. The next paper lies in the scope of (theoretical) DNA Computing. Properties of deterministic stateless real-time Watson Crick-automata are studied by László Hegedüs and Nagy Benedek, comparing the computing capacity of these automata with classic hierarchies with respect to counters and reversals. Three papers are devoted to applications of Membrane Computing, a vivid research area inspired from the cell structure and functioning (the models investigated in this framework are called P systems). Colomer et al. report a promising approach to dynamics of ecosystem consisting of carnivore and several herbivorous species and compare experimentally the performance of two different simulation algorithms. Another Membrane Computing application is discussed by Díaz-Pernil et al., who implement a tissue-like P system software tool achieving parallelism for tackling the computationally challenging problem of segmentation of Digital Imagery. In yet another application of Membrane Computing, Ana Pavel and Cătălin Buiu introduce certain classes of numerical P systems, whose nondeterminism is decreased by using enzyme-like variables associated with the production functions in each membrane, and an application of these enzymatic numerical P systems to build mobile robot controllers is presented. In the next paper, by Eduardo Rodriguez Martinez et al., a collaborative feature extraction technique is compared against principal component analysis as a preprocessing stage for Laplacian faces. Finally, an application of Neural Computing is reported in the paper by Soares et al. as they study the emergence of synchronicity in a network composed of spiking neurons via genetic algorithm and they use a method of tuning the parameters of the Izhikevich spiking neuron model through genetic algorithm in order to enable the self-organization of the neural network. The editors are much indebted to Prof. G. Rozenberg for his support and guidance throughout all the stages of preparing this special issue, to the authors for their contributions, including those whose papers were not included, and to the reviewers, who provided timely and professional evaluations as well as useful recommendations that have helped improving the selected papers.